« EastendHomes Ltd investigated for breaches of planning permission. Well, this is interesting, because here's another thing. The changes to EeH' Mem & Arts simply delete all reference to devolution and community empowerment. And all reference to 'local community trusts', which provide the mechanism for residents to take over running their own estates. 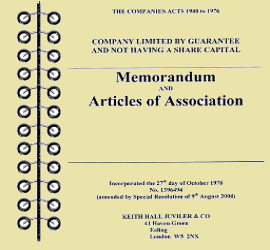 And get this - currently, EeH can even transfer ownership of an estate, lock, stock and barrel, to a local housing trust, which residents have set up to be run under their control. Because the whole picture has got pretty complicated now - EeH has borrowed lots of money from Barclays Bank on the basis that it collects all its tenants' rents and therefore has the wherewithal to repay the loan. If a local community housing trust took over management of an estate, the rents would be collected by the local community housing trust. Do you suppose Barclays Bank knew all this when they agreed to loan EeH the money they asked for? And if this wasn't entirely clear to Barclays Bank, would this go some way to explaining why EeH is so agressively defensive when it comes to answering questions about the terms of its governing instruments and company registration?